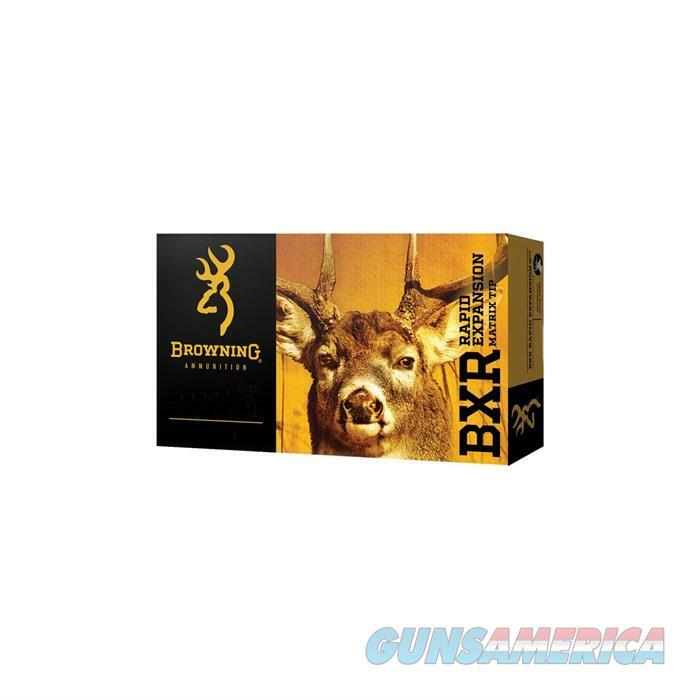 Description: Browning Ammunition B192130001 BXR RAPID EXPANSION 300 WSM 155GR MATRIX TIP The 300 WSM 155gr BXR Rapid Expansion Matrix Tip is designed specifically for use on whitetail, blacktail, mule deer and antelope. The proprietary matrix tip design allows for high downrange velocity and energy retention while also initiating rapid positive expansion. The jacket and tip combination yields precision accuracy, rapid energy transfer and generates massive knockdown power.